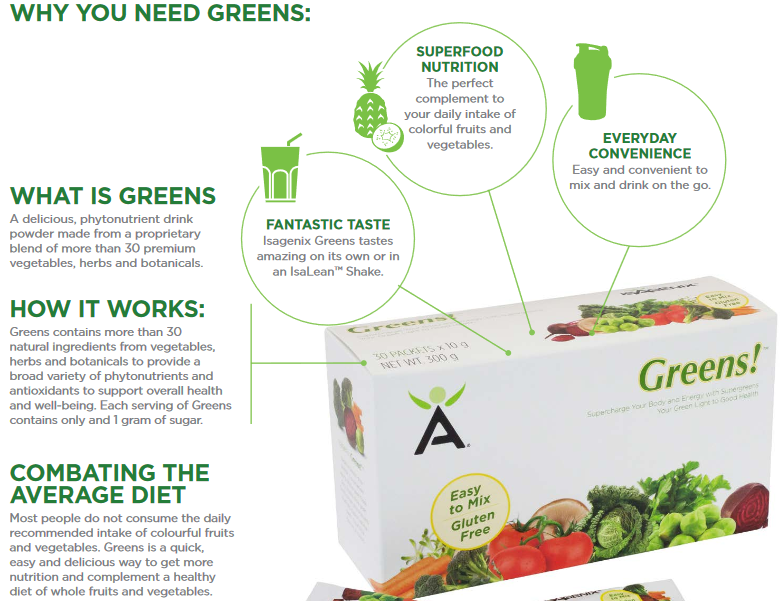 Isagenix Greens - Amazing Green Superfoods in 1 Convenient Packet! Get All Your Greens in One Convenient Serving! 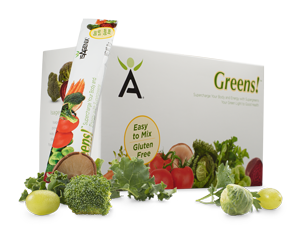 It can be tough to get in your daily quota of fruits and vegetables which is why Isagenix Greens is a must for everyone. Each powdered Isagenix greens mix contains fruits and vegetables that are cold processed to maintain their nutritional profile. You get 33 super greens including ginkgo biloba leaf, green tea extract and chlorella in each and every Isagenix greens sachet. For the full list of ingredients, download the PDF further below. You can either drink Isagenix Greens on its on with water or juice, or add it to one of your Isagenix shakes. Take one sachet per day and feel the health buzz! We also recommend you try mixing it with Isagenix Replenish for a tasty, nutritious shake. What are the Ingredients in Isagenix Greens? For more information about Greens or any of the products in general, contact Nicole at info@isaelite.com.au or call her on 0413 254 398. Alternatively, you can download the Greens product information sheet here. How Can You Buy Isagenix Greens?